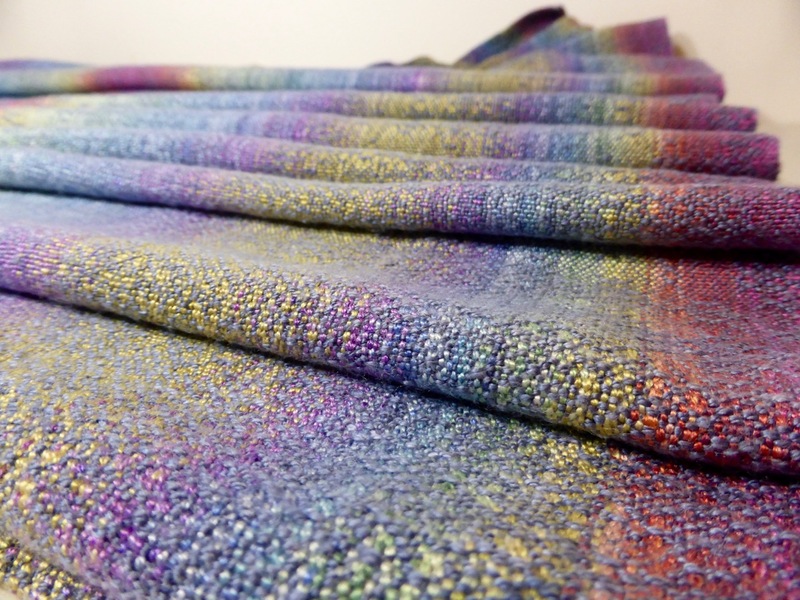 The Rainbow End collection is a project with the hand-dyed warp of silk/ bamboo. 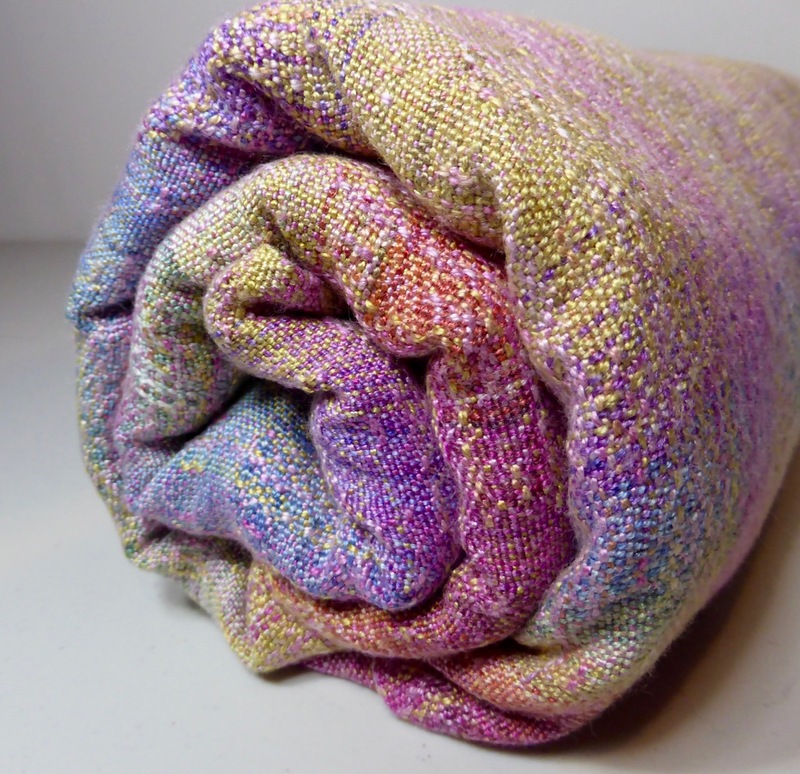 Most of the wraps also have hand-dyed weft. The colour design is done by Kali Designs. Variegations did the dye part. 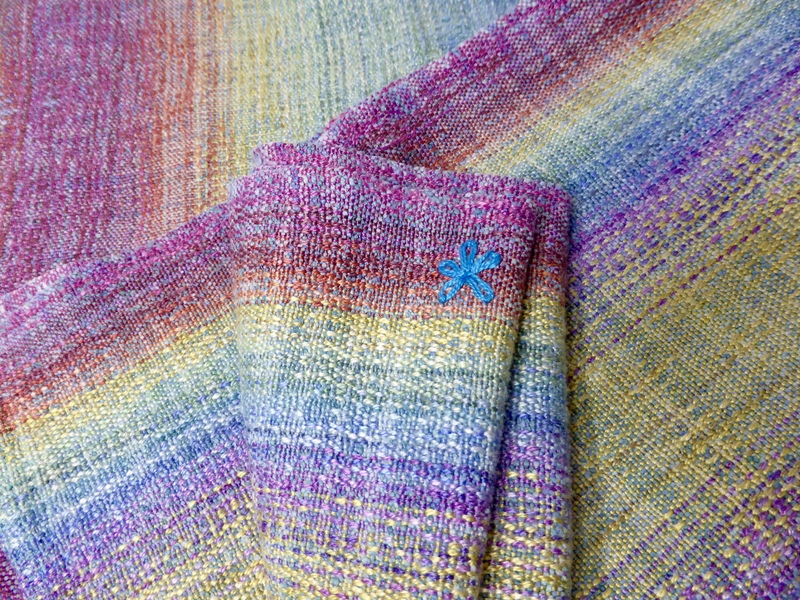 Wrap #1, with the silk / cashmere blend as weft, hand-dyed. Crackle weave, hand-embroidered middle markers. Fibre content: Silk 52%, bamboo 25%, cashmere 23%. 300 GSM. Wrap #2, with the hand-dyed grey Mulberry spun silk weft and crackle weave. Fibre content: Silk 75%, bamboo 25%. 320 GSM. 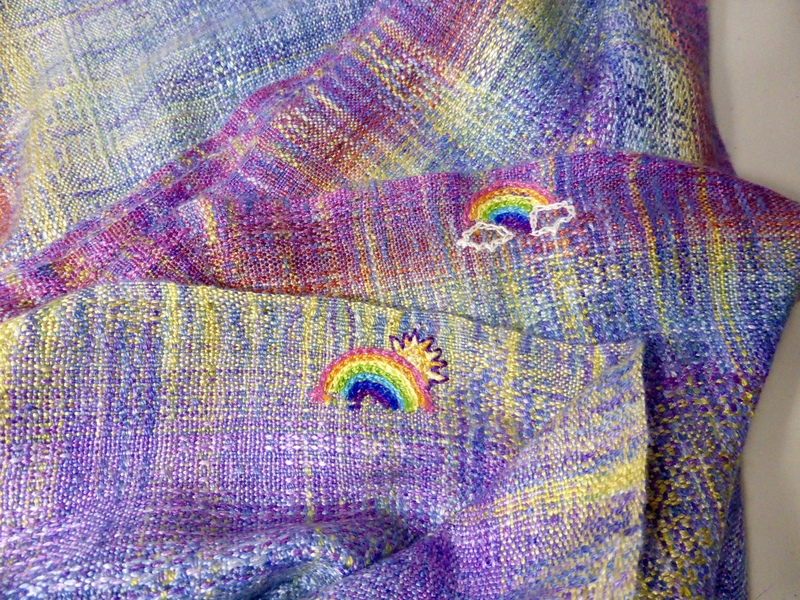 Piece #3, with the 10/2 mercerized cotton weft in Purple Passion and crackle weave. Fibre content: Cotton 50%, silk 25%, bamboo 25%. 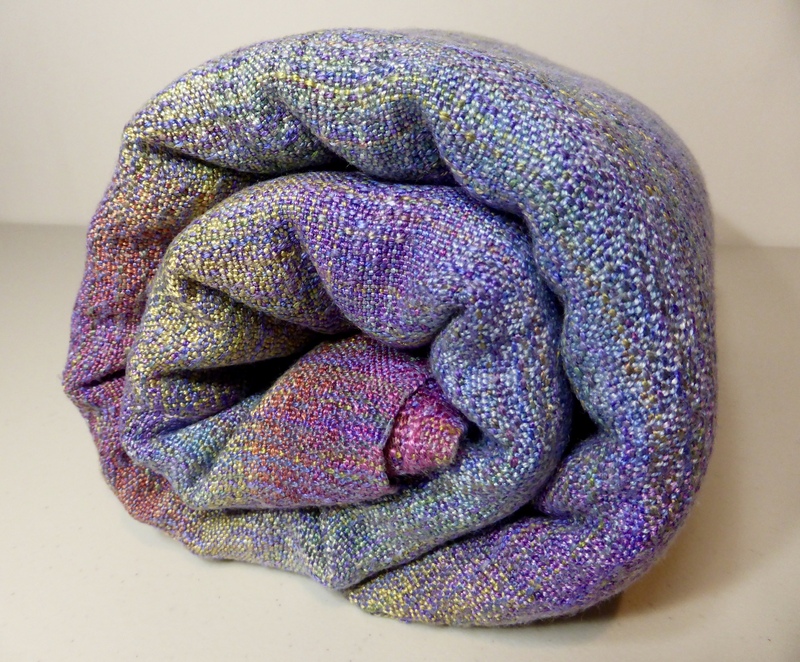 Wrap #4, with the hand-dyed variegated Mulberry spun silk weft and crackle weave. Fibre content: Silk 75%, bamboo 25%. 320 GSM. 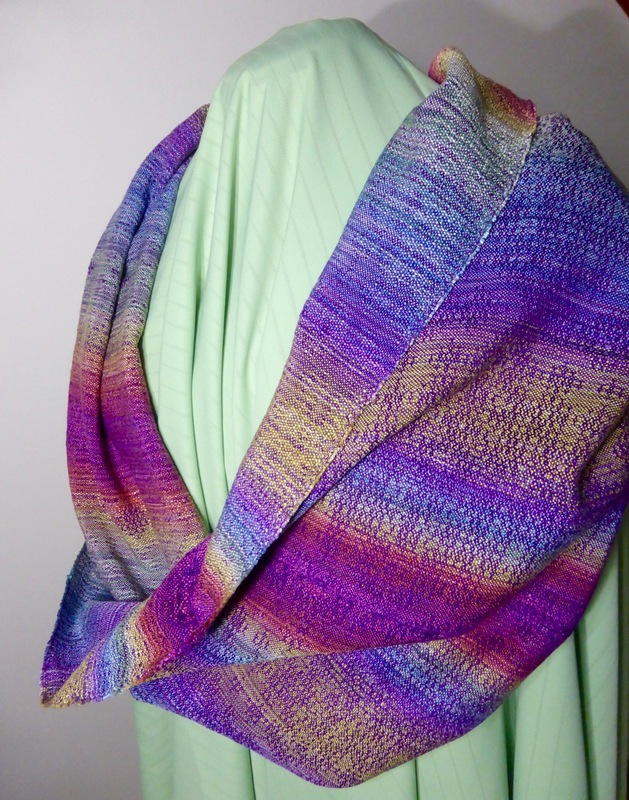 Wrap #5, with the hand-dyed variegated SeaLace weft and crackle weave. Fibre content: Silk 60%, bamboo 25%, Seacell 15%. 280 GSM. Wrap #6, with the hand-dyed variegated SeaLace weft and crackle weave. Fibre content: Silk 60%, bamboo 25%, Seacell 15%. 280 GSM. 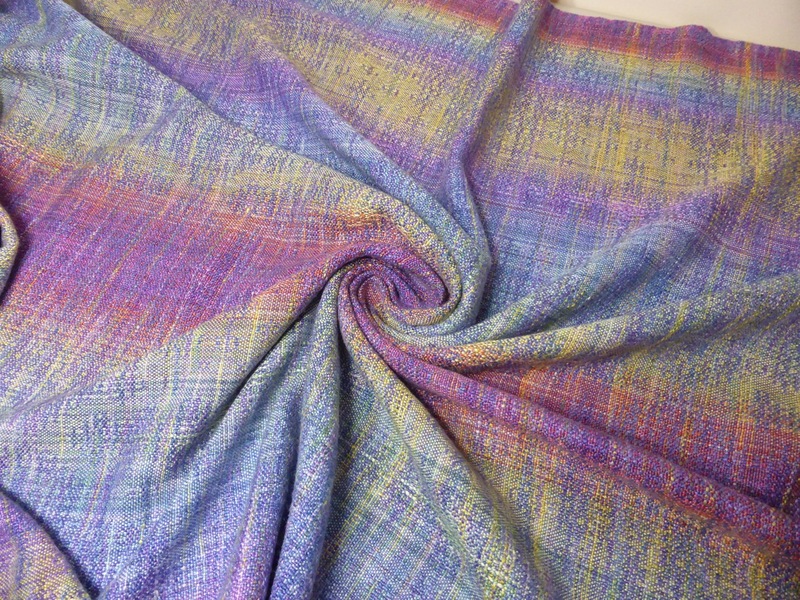 Wrap #7, with the hand-dyed bourette silk weft and crackle weave. Fibre content: Silk 75%, bamboo 25%. 280 GSM.